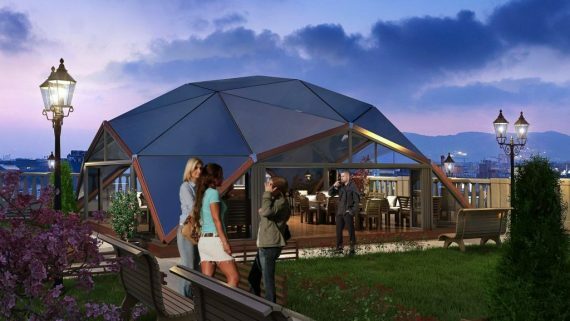 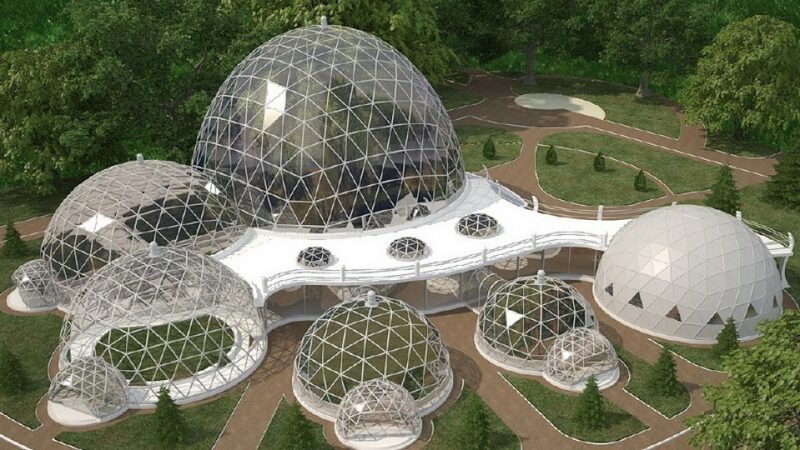 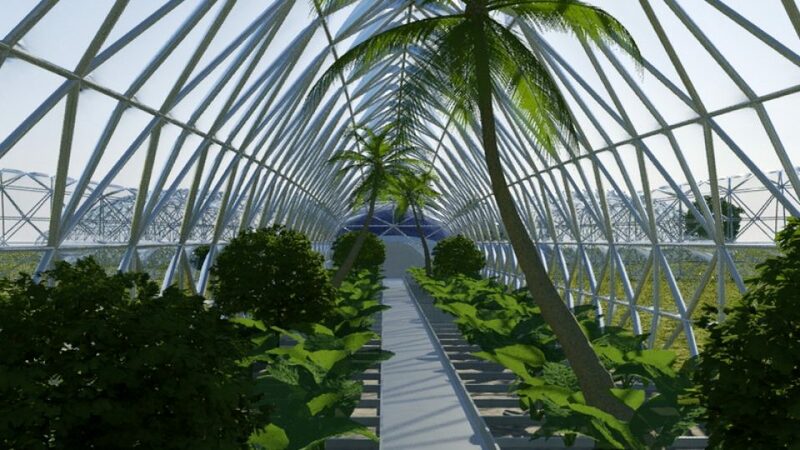 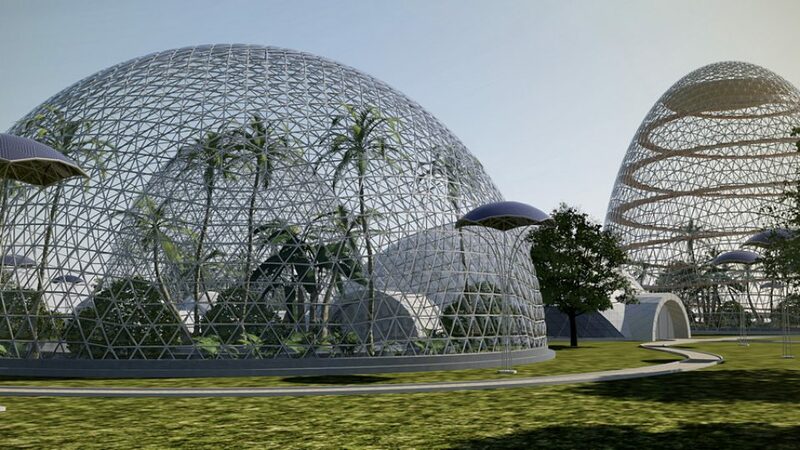 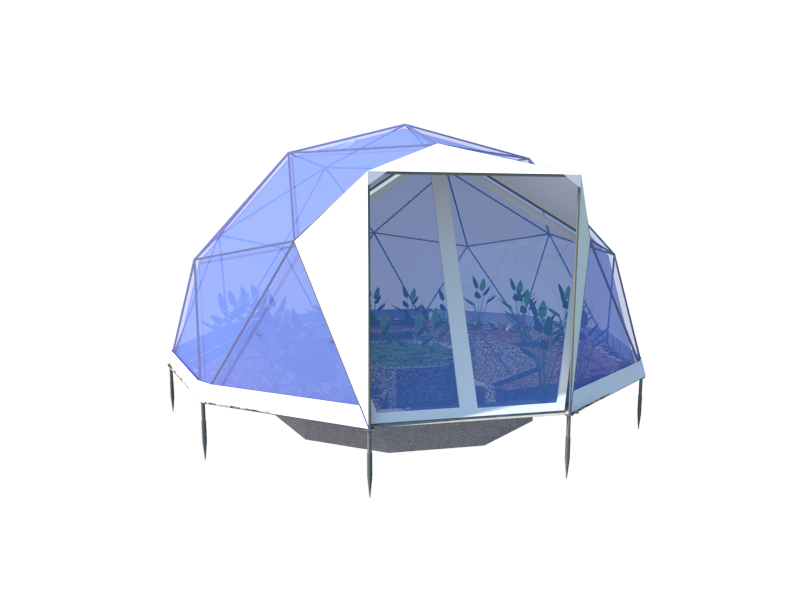 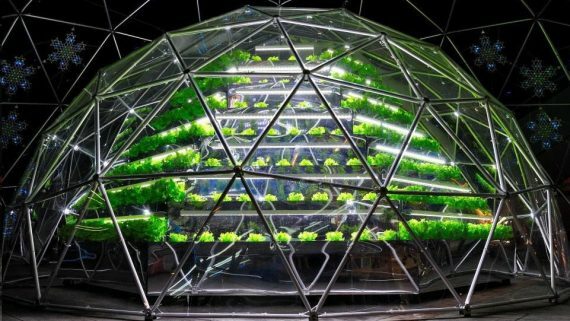 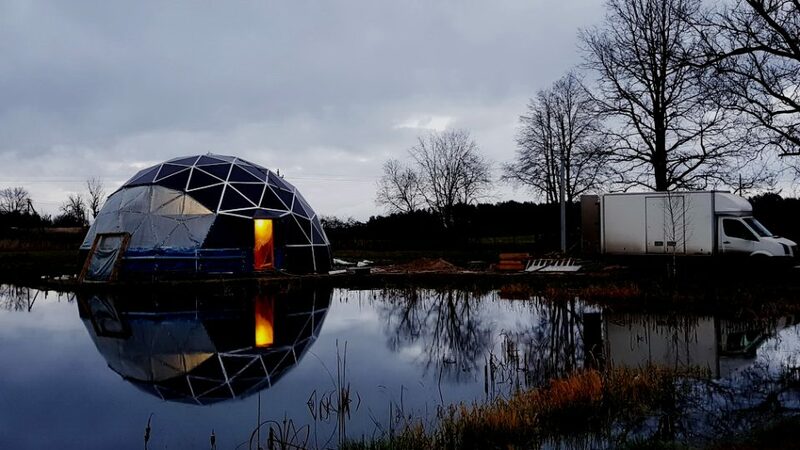 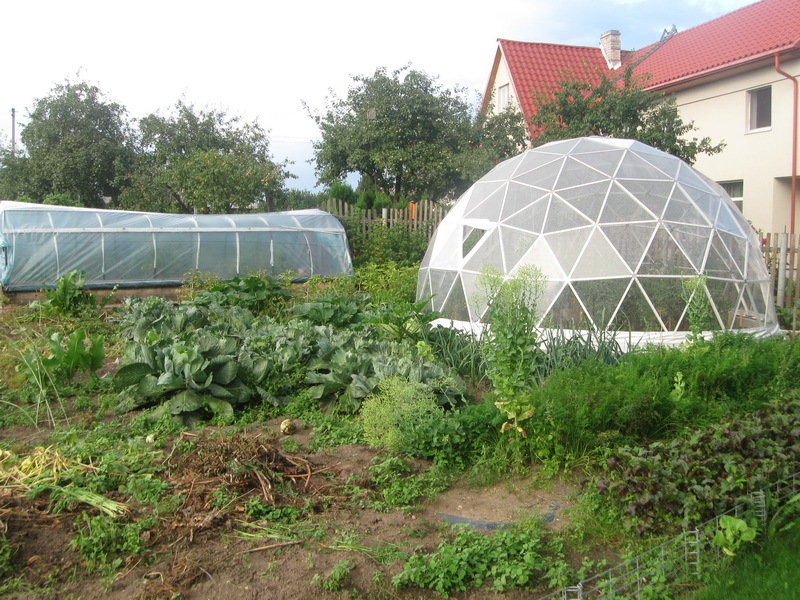 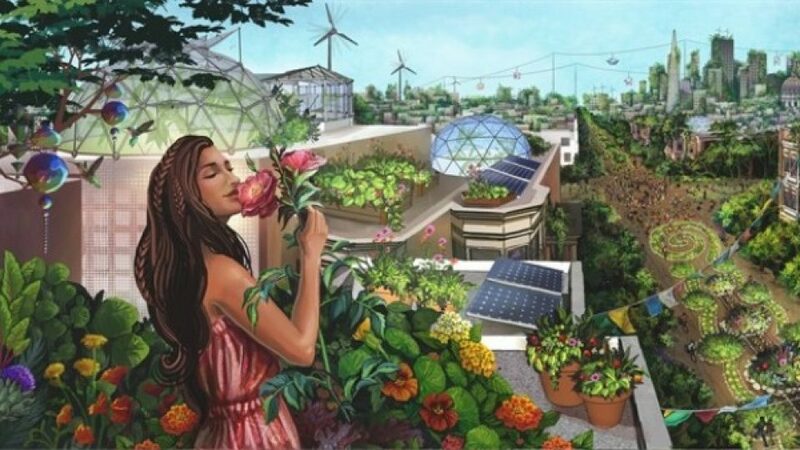 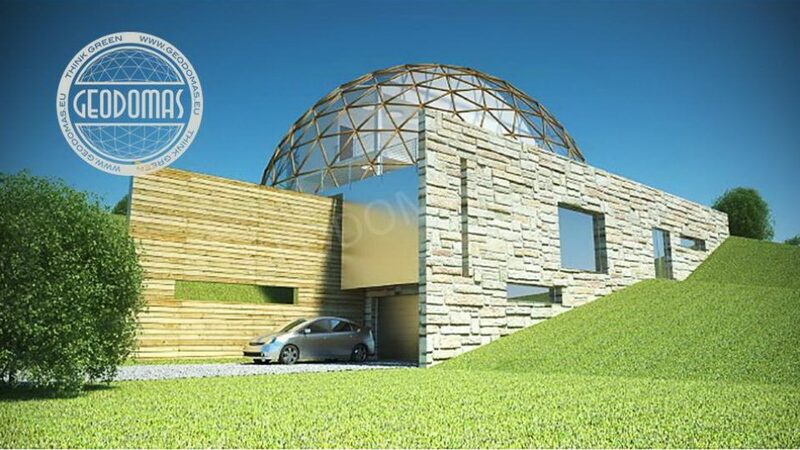 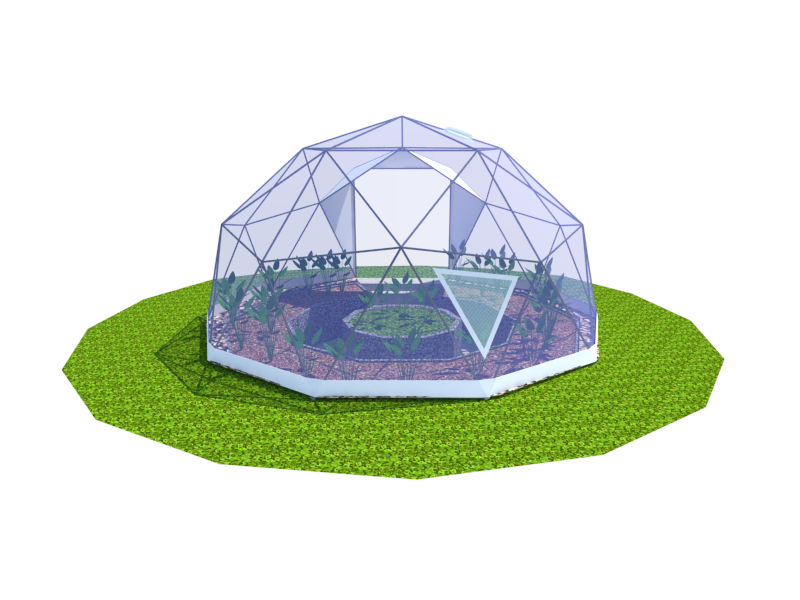 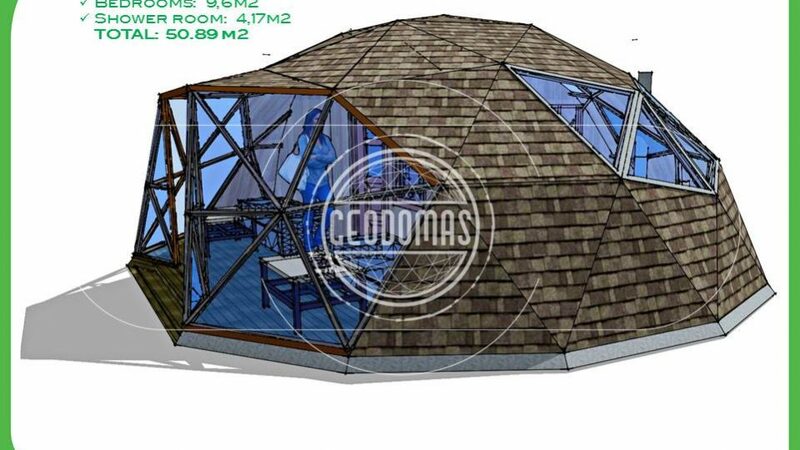 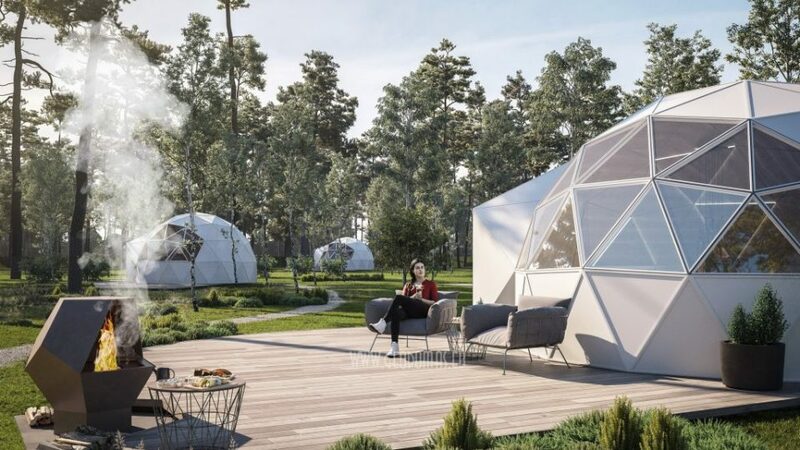 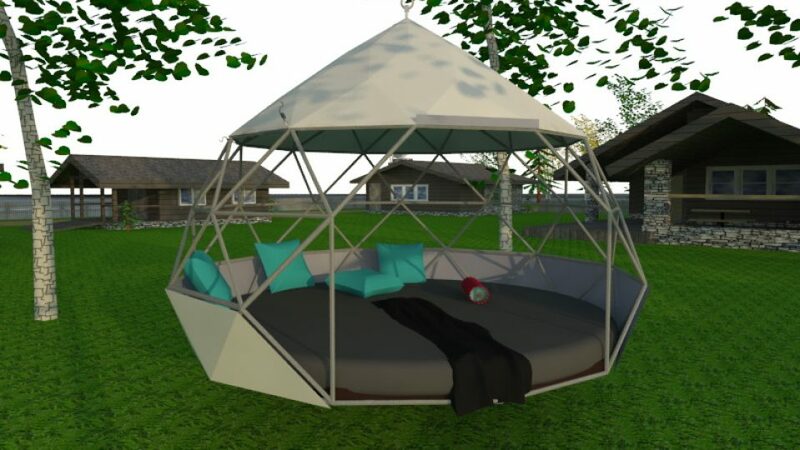 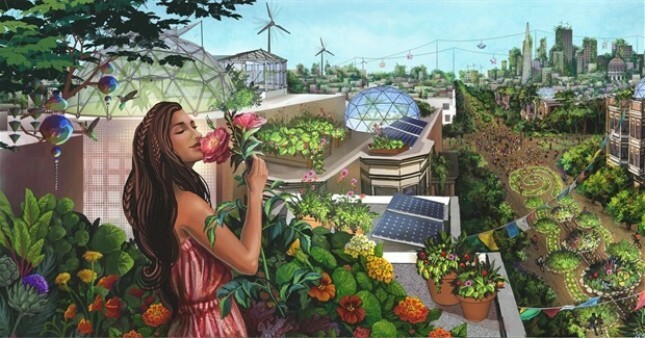 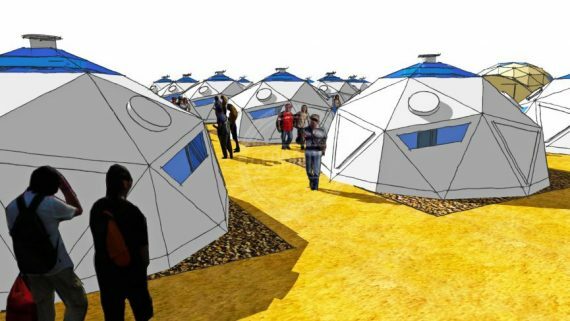 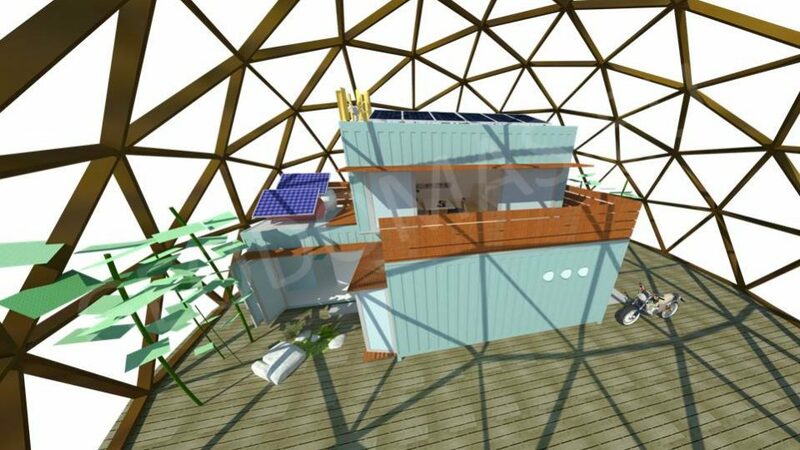 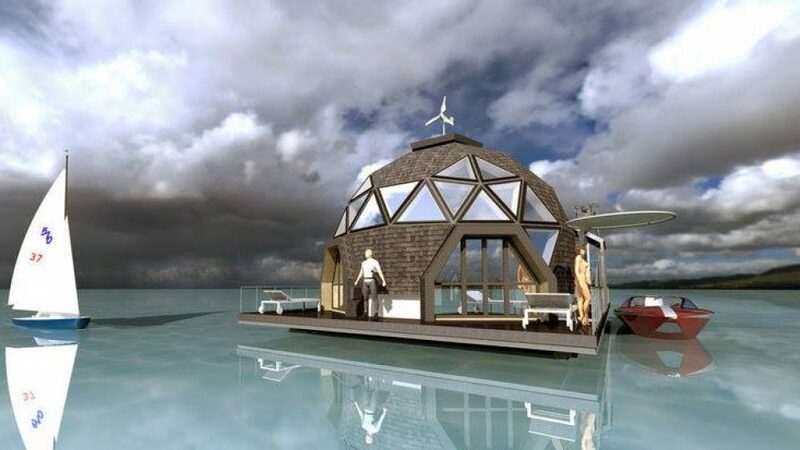 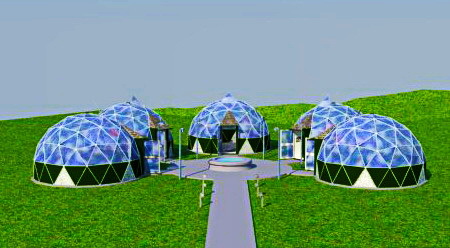 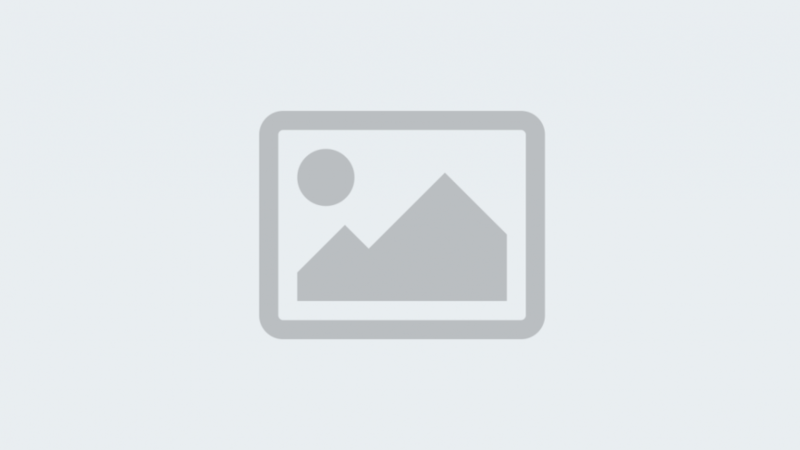 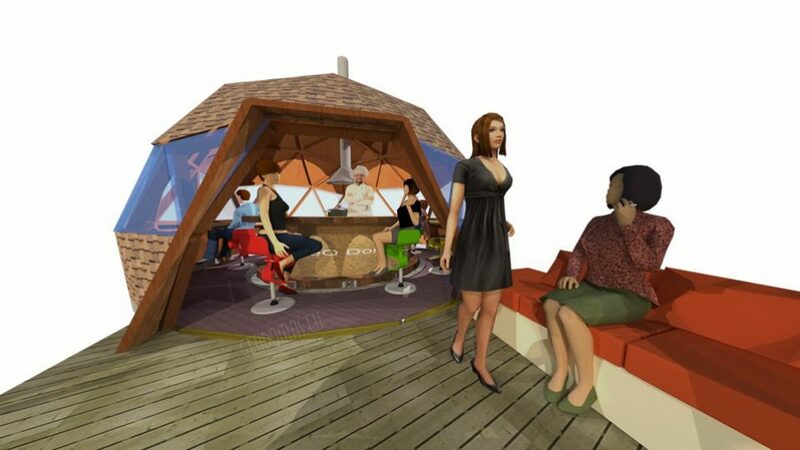 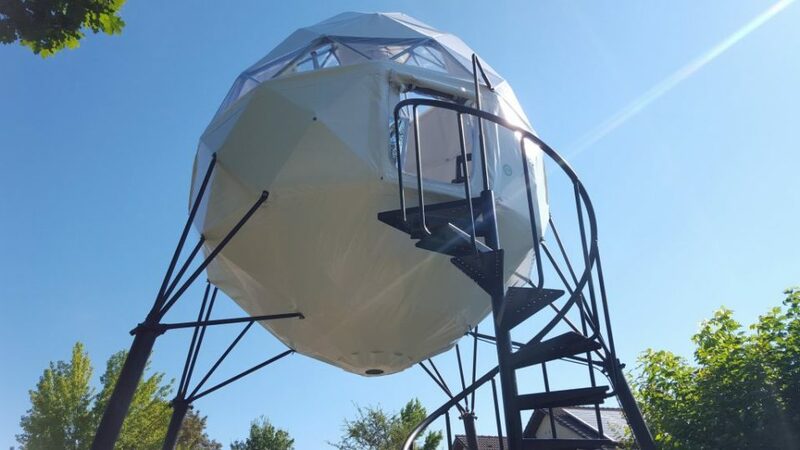 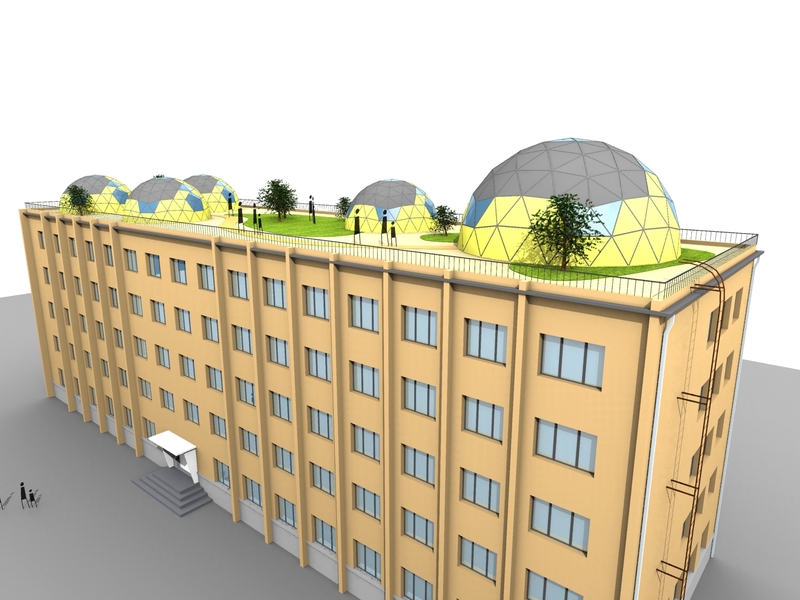 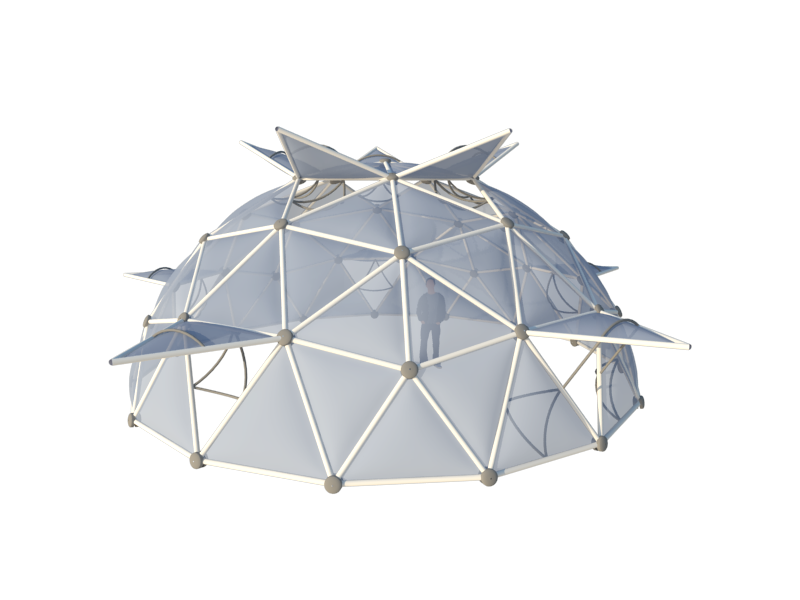 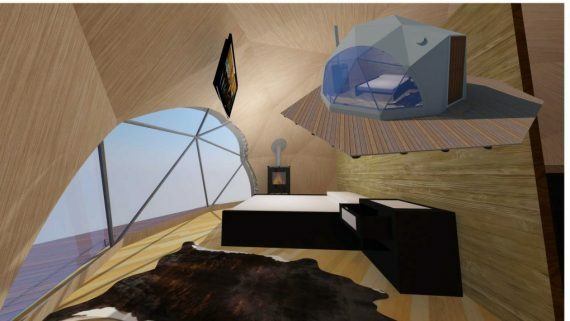 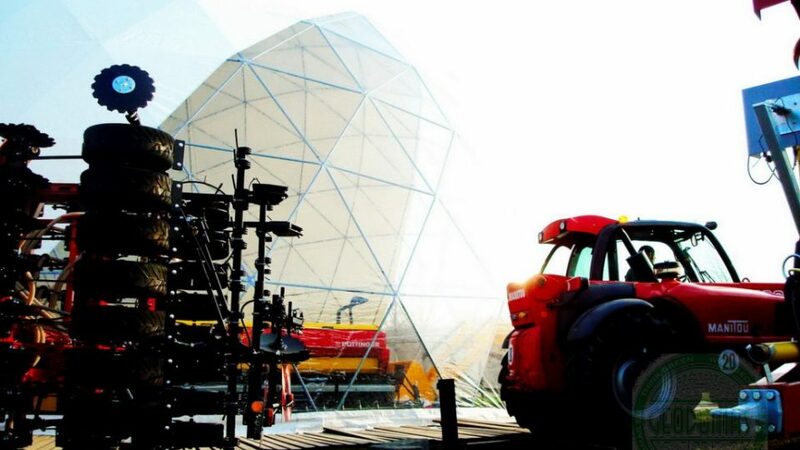 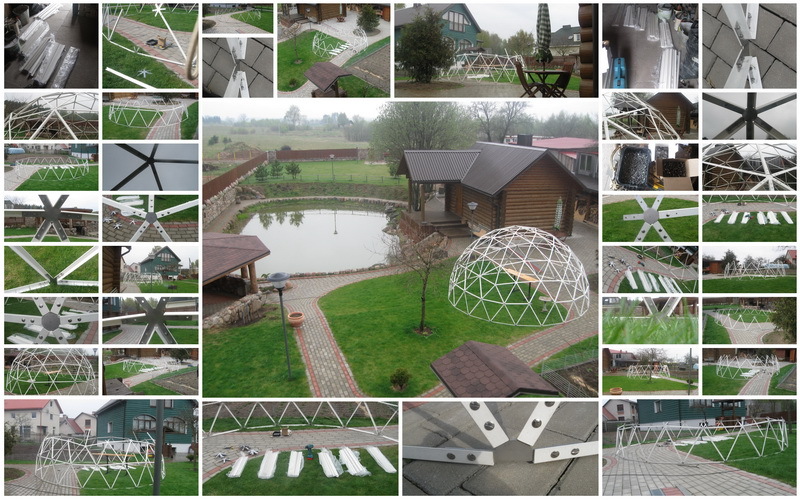 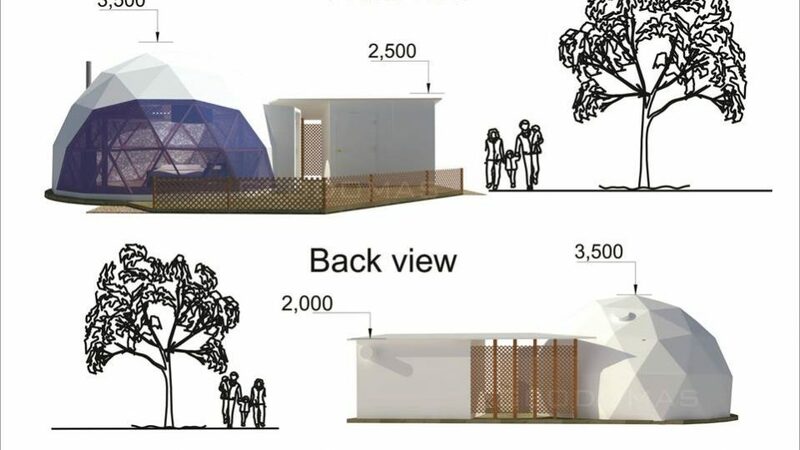 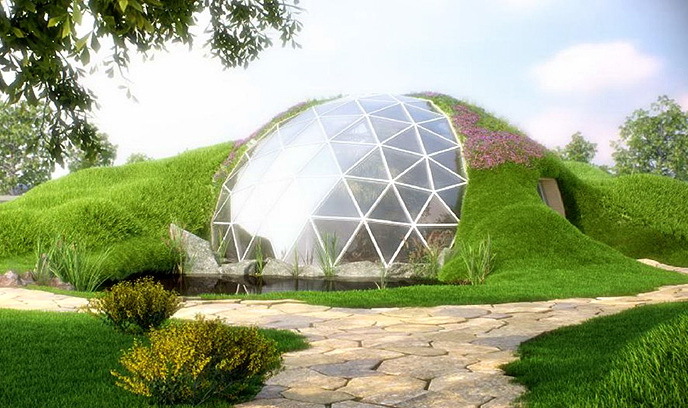 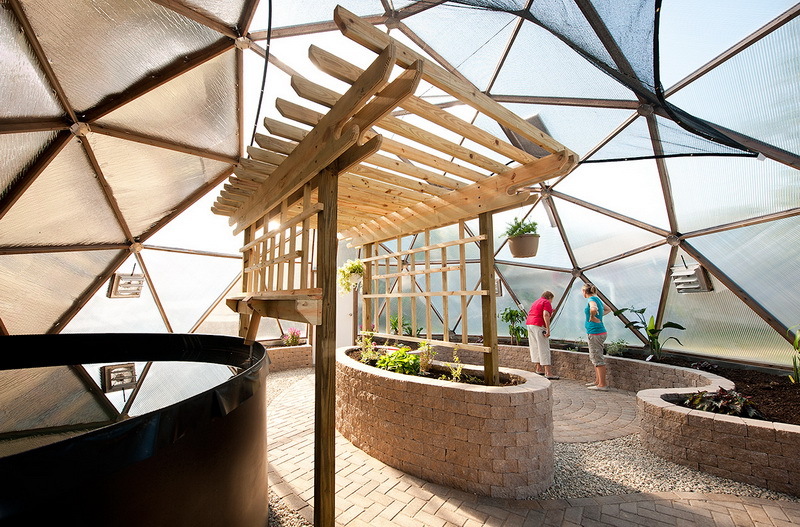 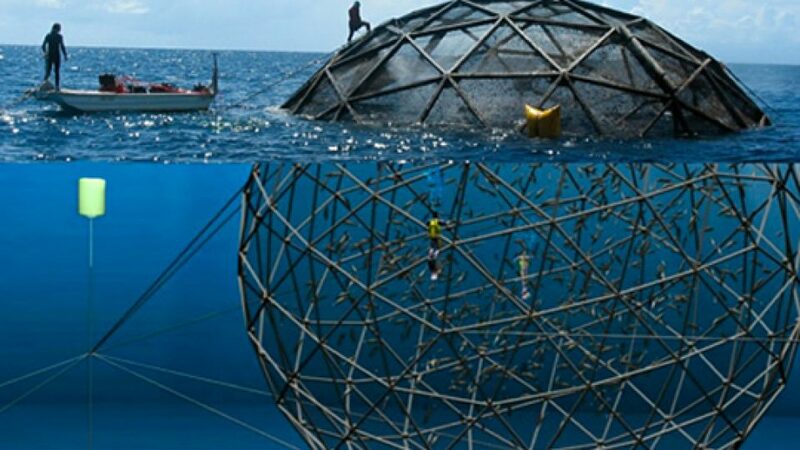 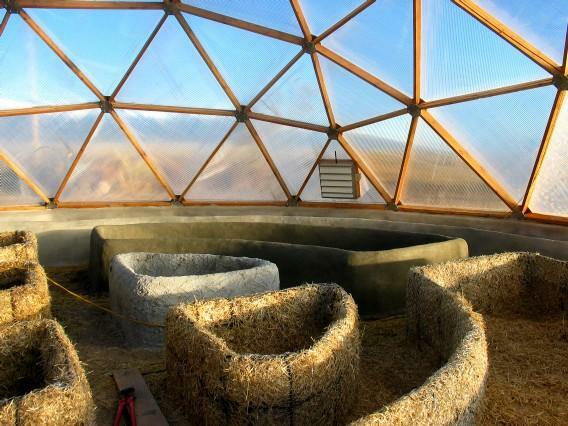 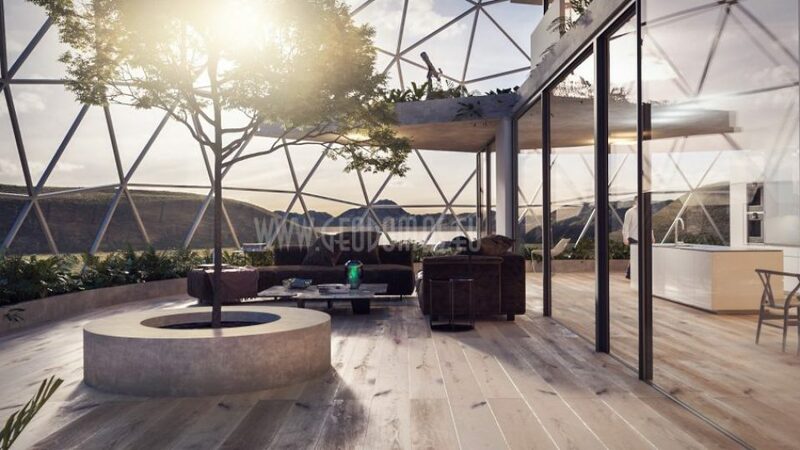 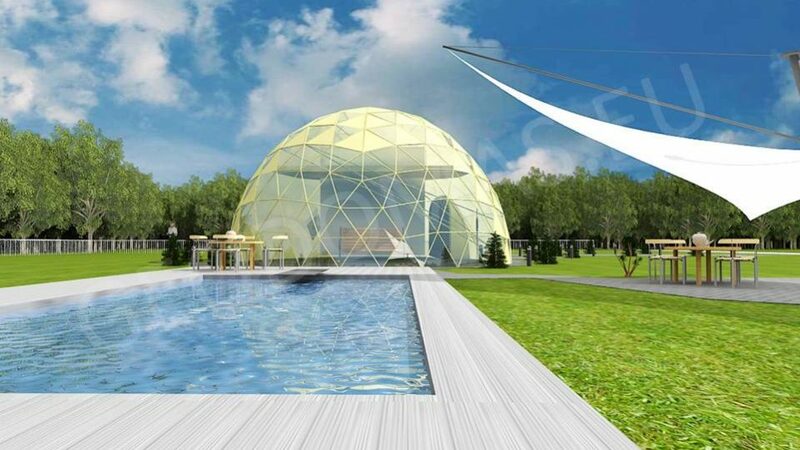 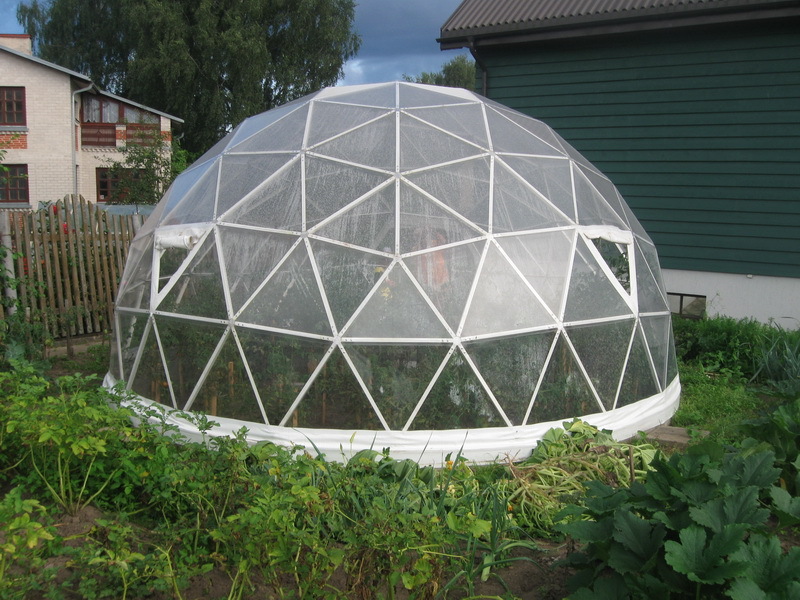 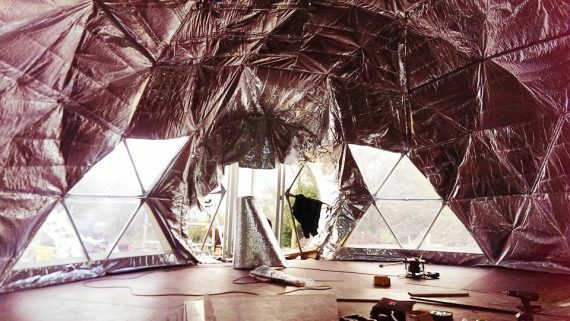 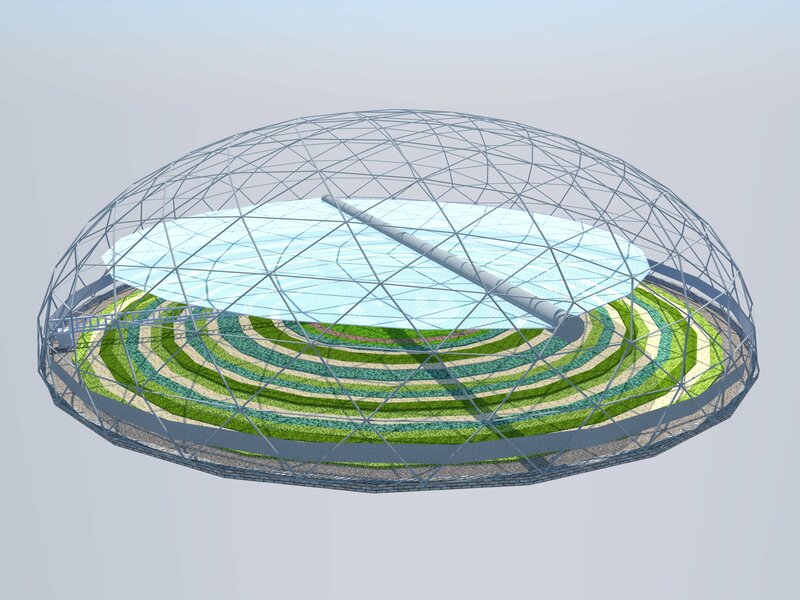 Geodesic dome Solar Greenhouse to grow your own food. 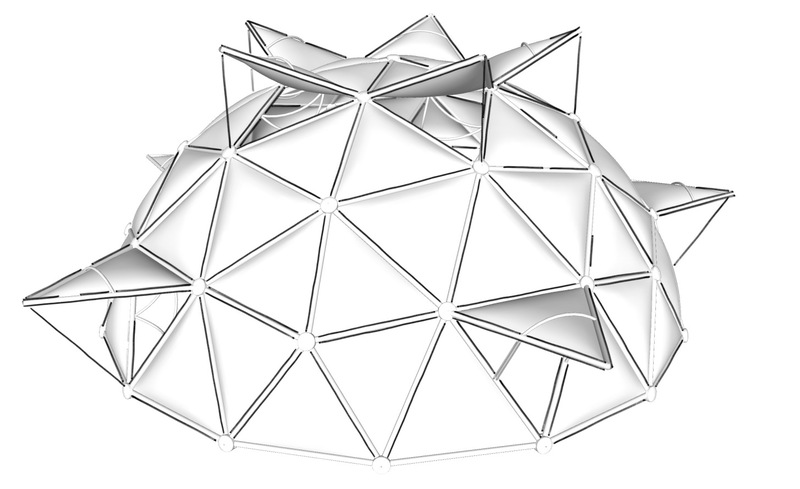 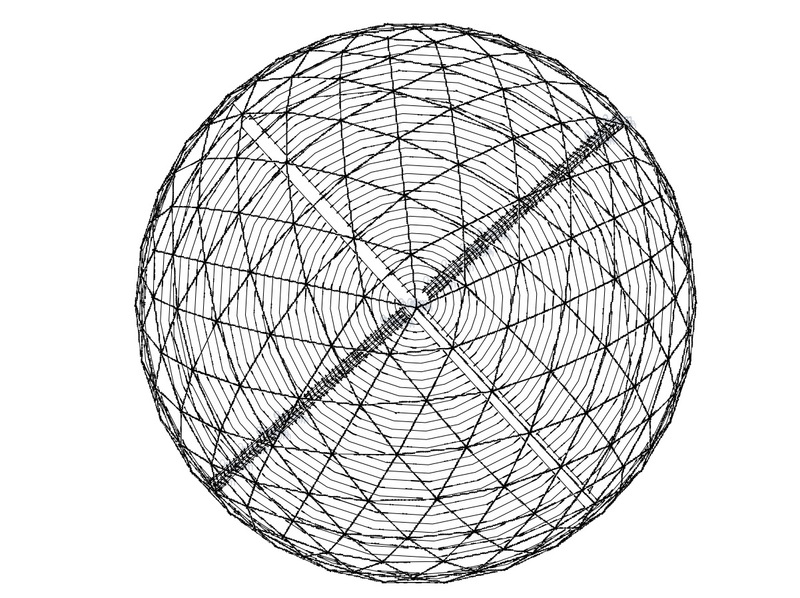 The spherical shape means sunlight is always striking part of the dome in a perpendicular fashion for maximum solar gain. 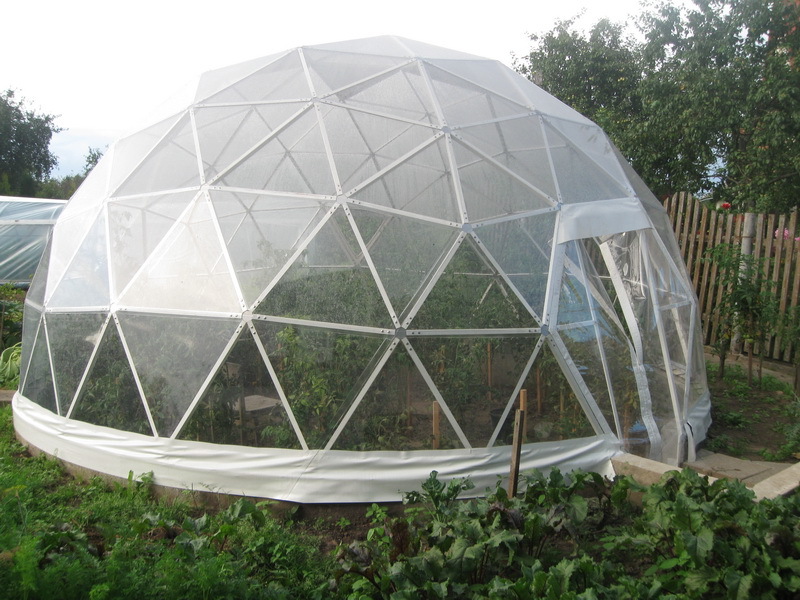 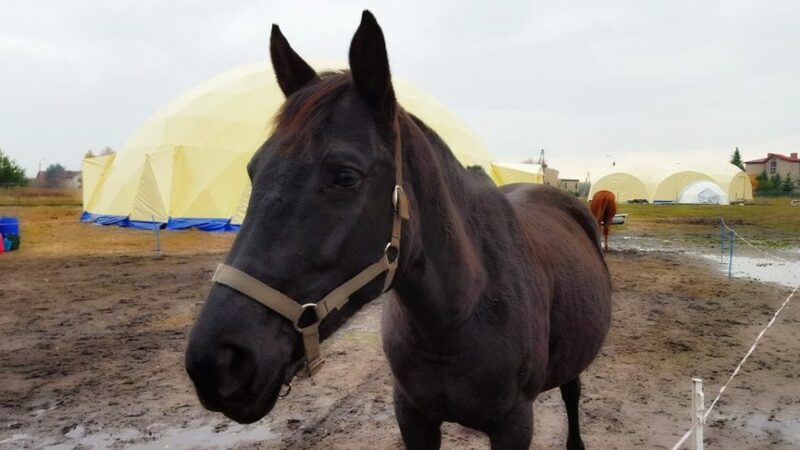 The spherical shape also creates the least heat transfer suface possible for maximum heat retention during the winter months. 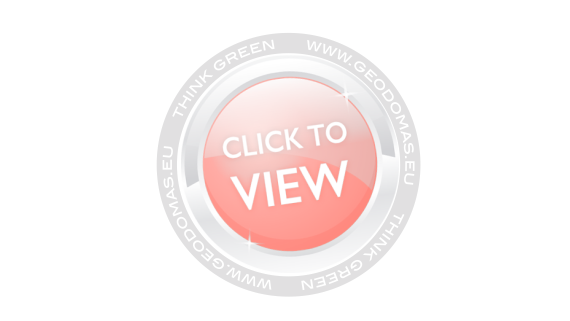 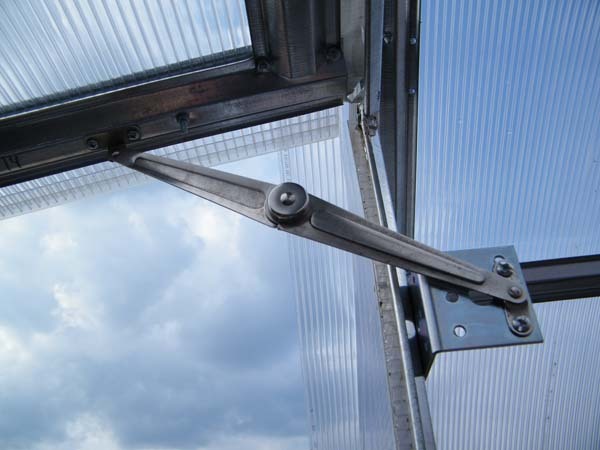 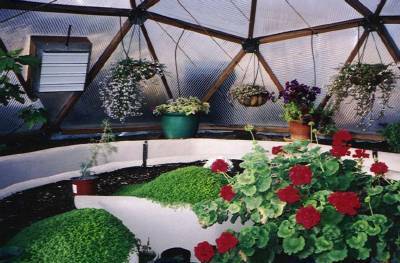 Another advantage of geodesic dome greenhouses is their energy efficiency. 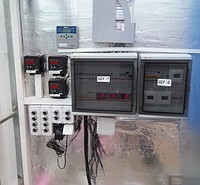 A building’s heat loss is directly proportionate to the surface area of the building. 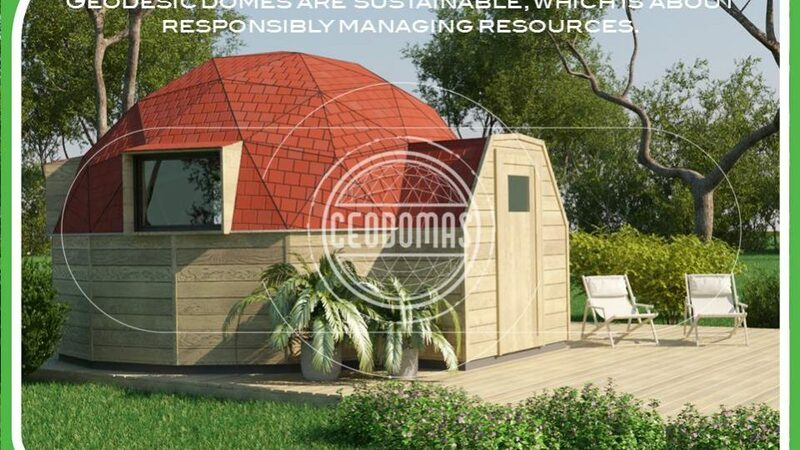 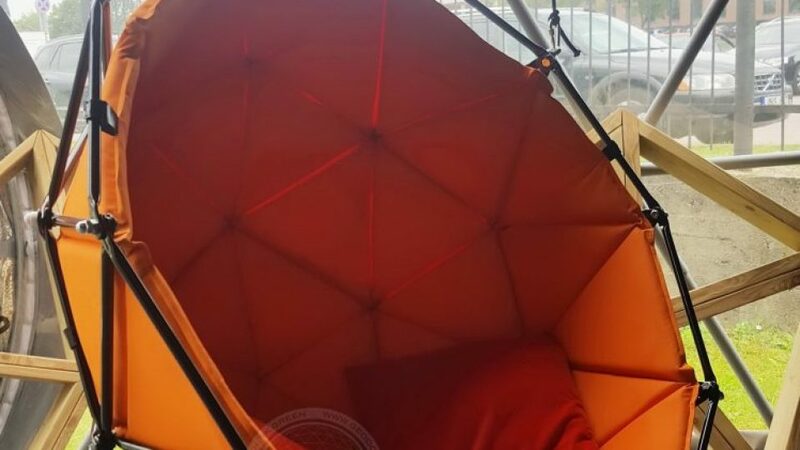 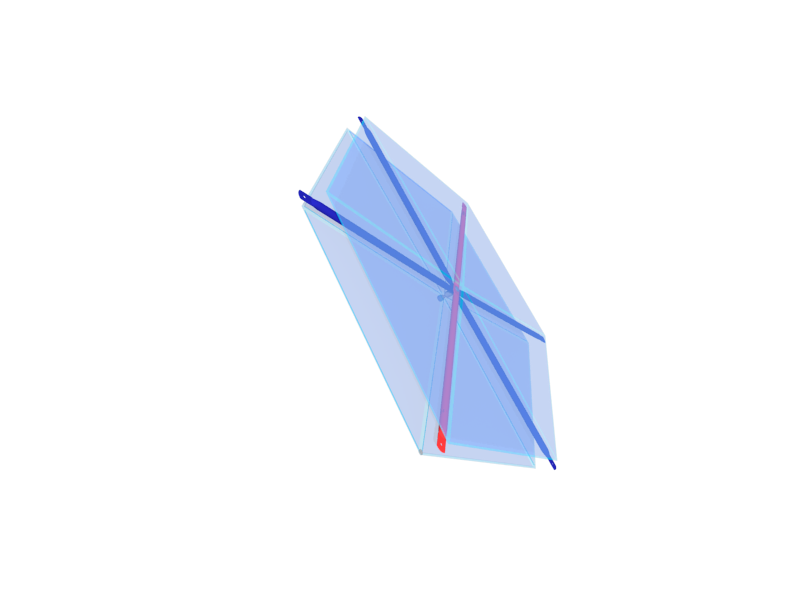 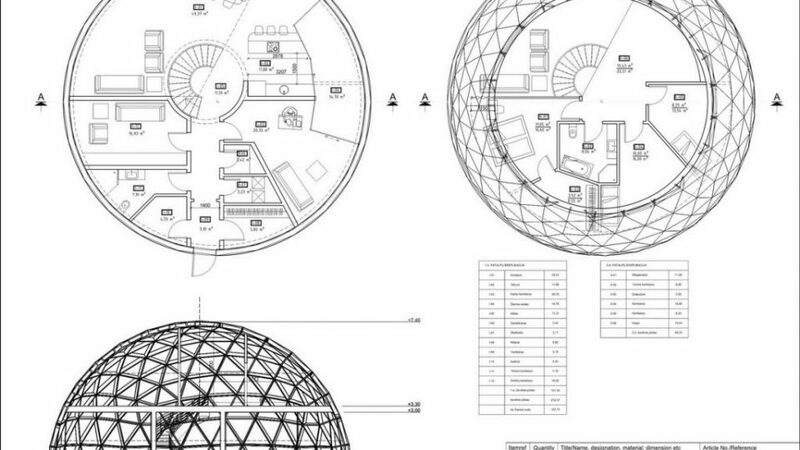 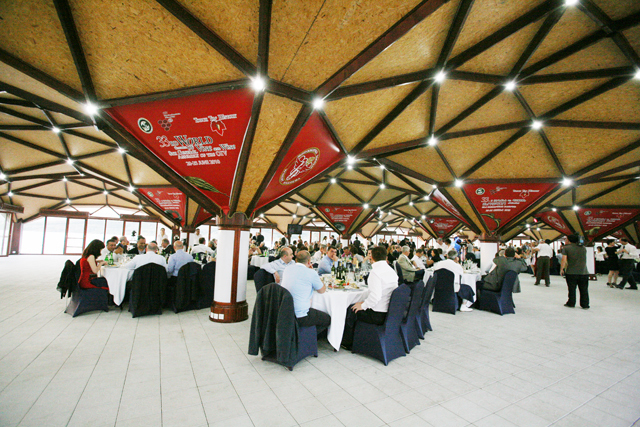 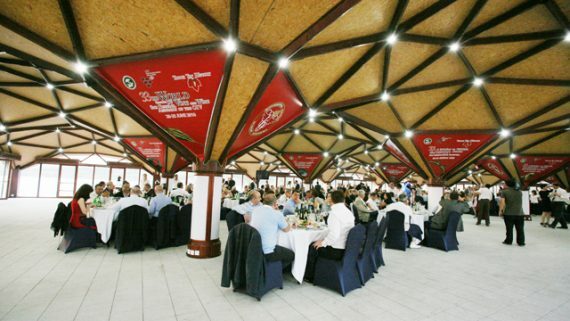 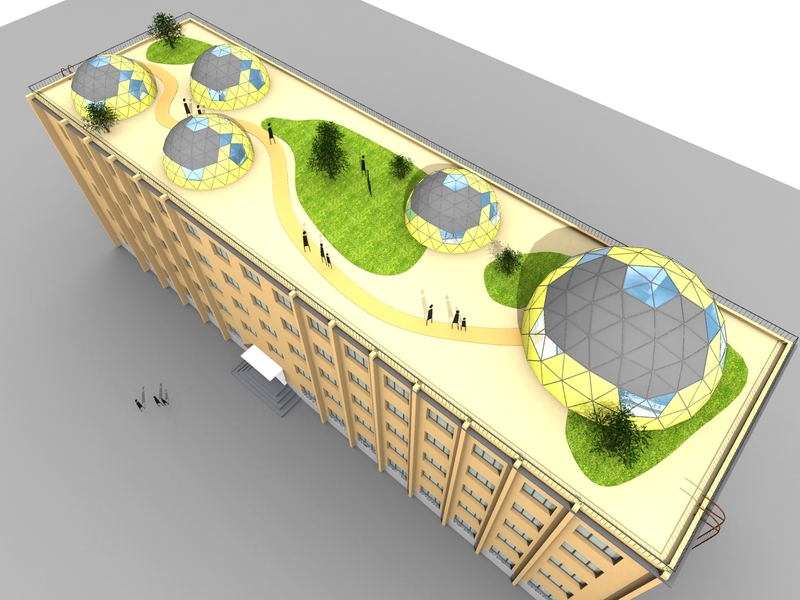 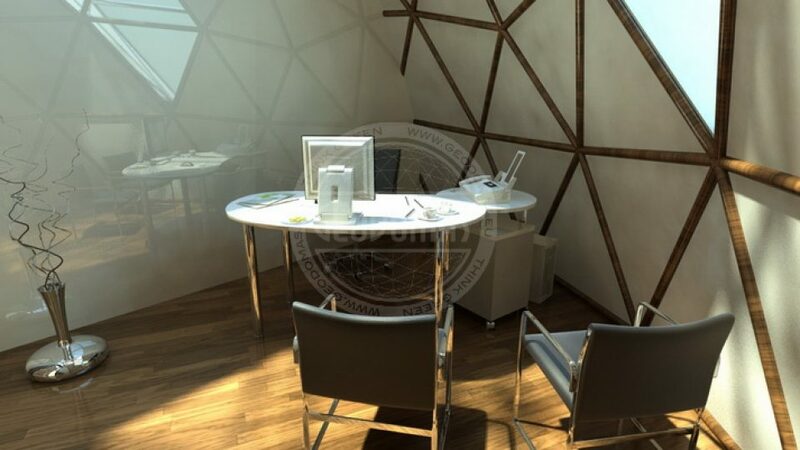 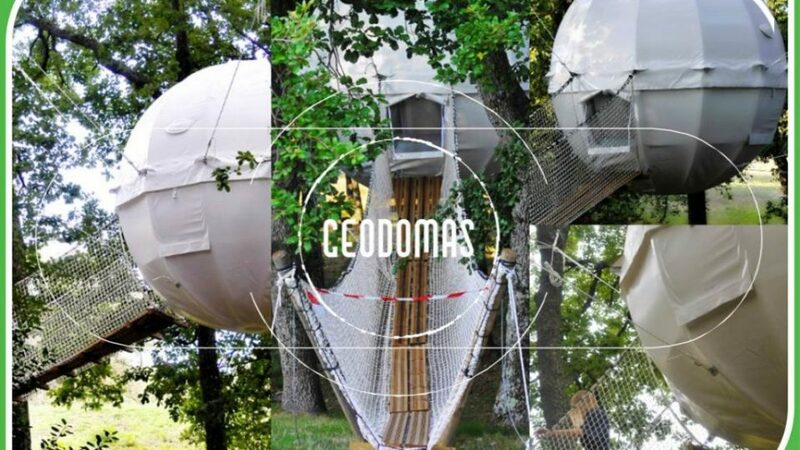 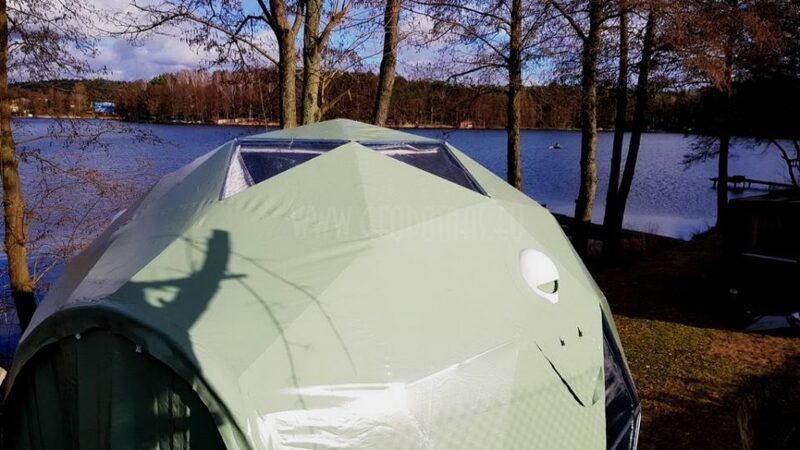 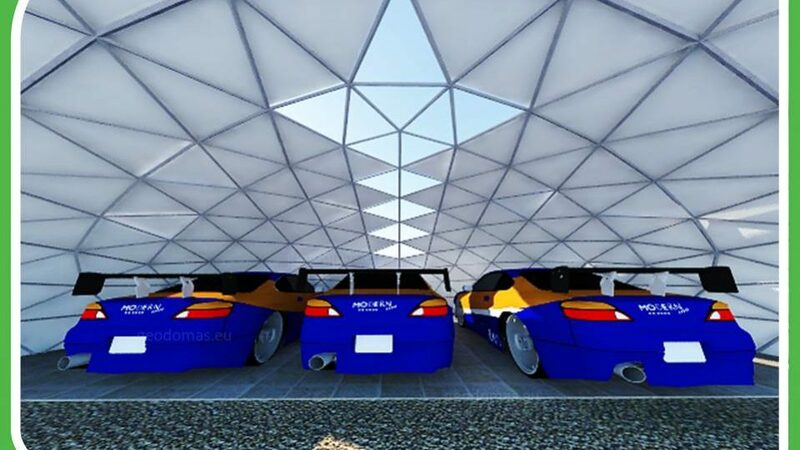 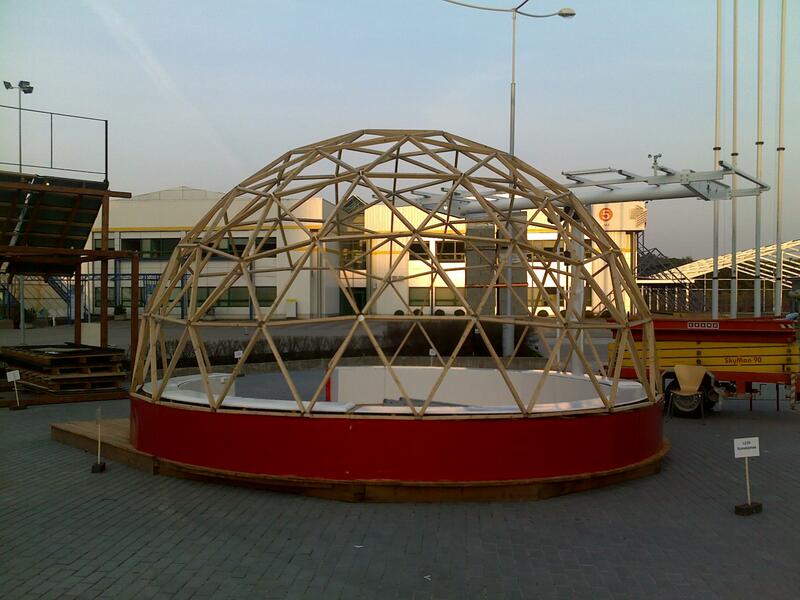 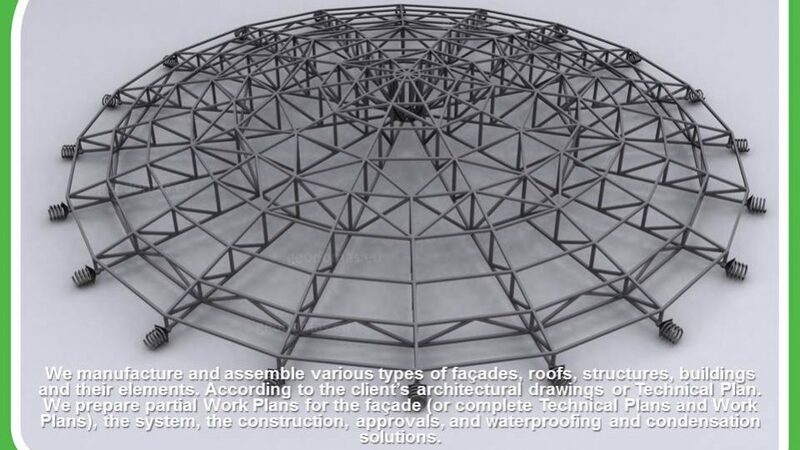 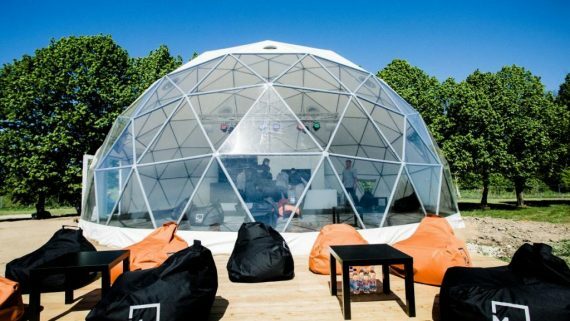 The dome shape has 30-40 per cent less surface area for the floor space enclosed than a rectangular shape. 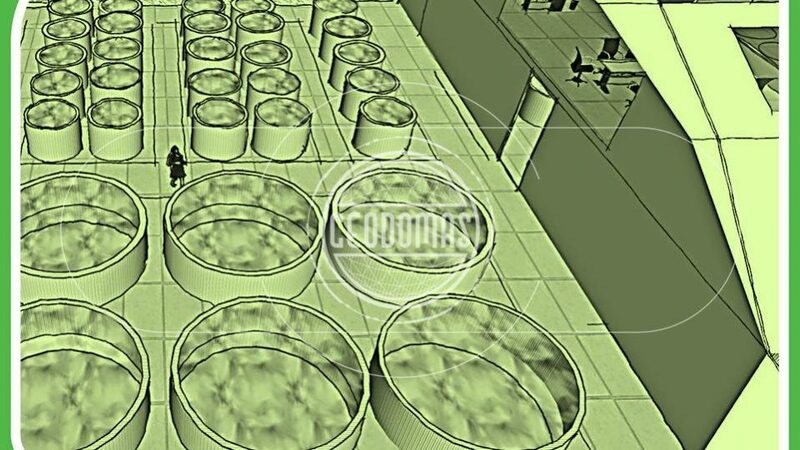 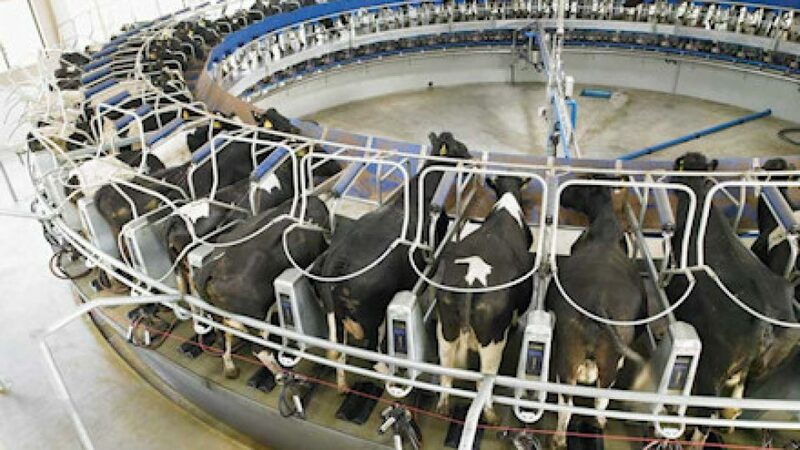 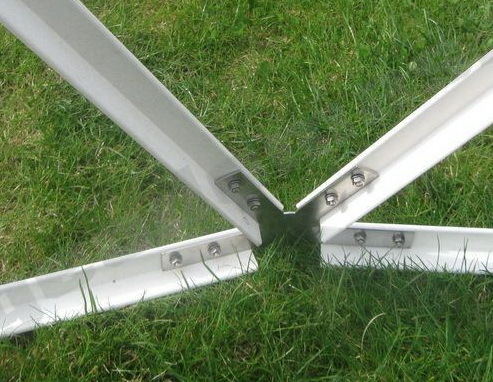 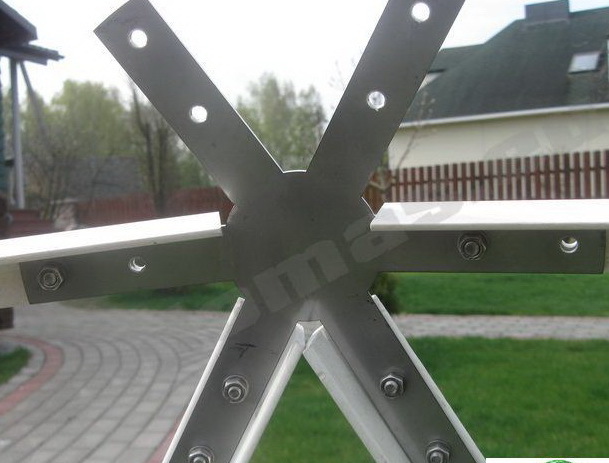 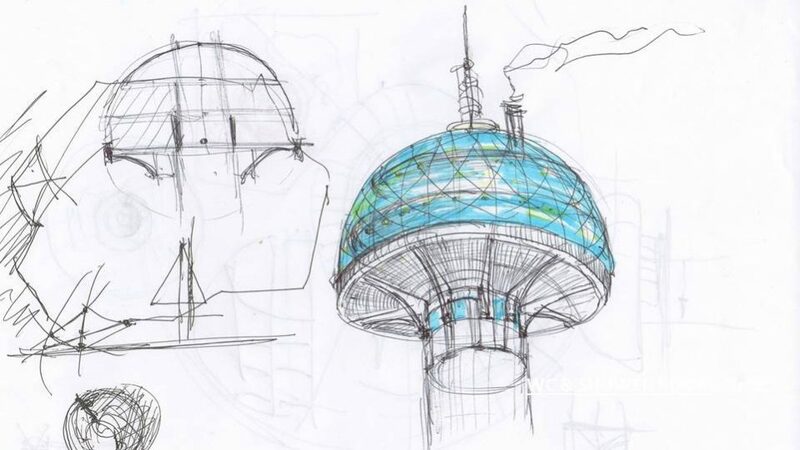 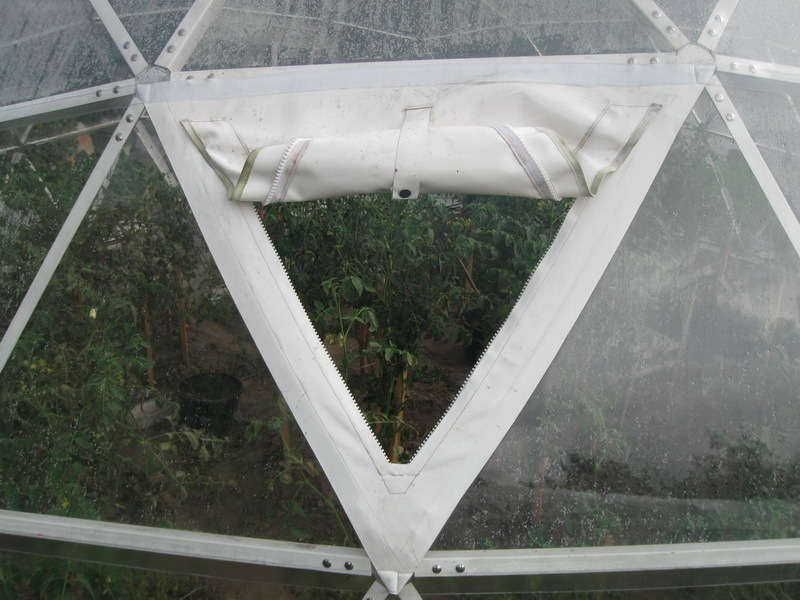 They also circulate air more efficiently than rectangular structures. 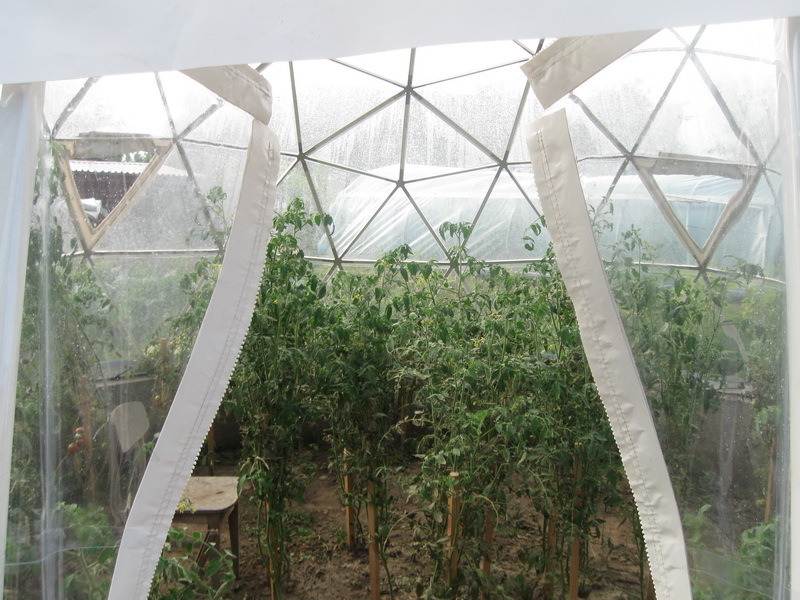 The plants in this type of greenhouse will receive more direct sunlight throughout the day, which means more consistent heat input. 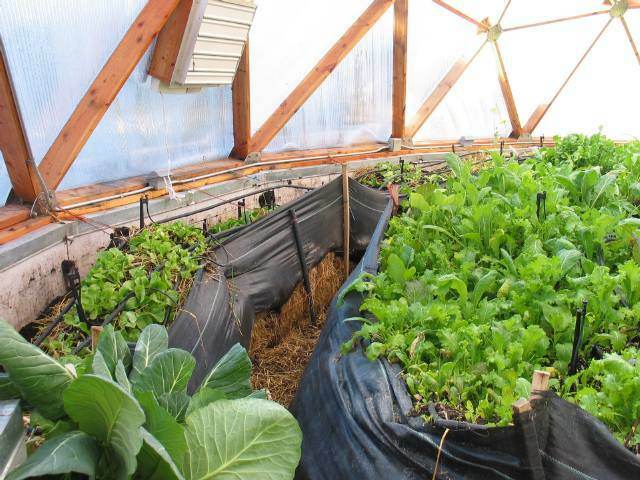 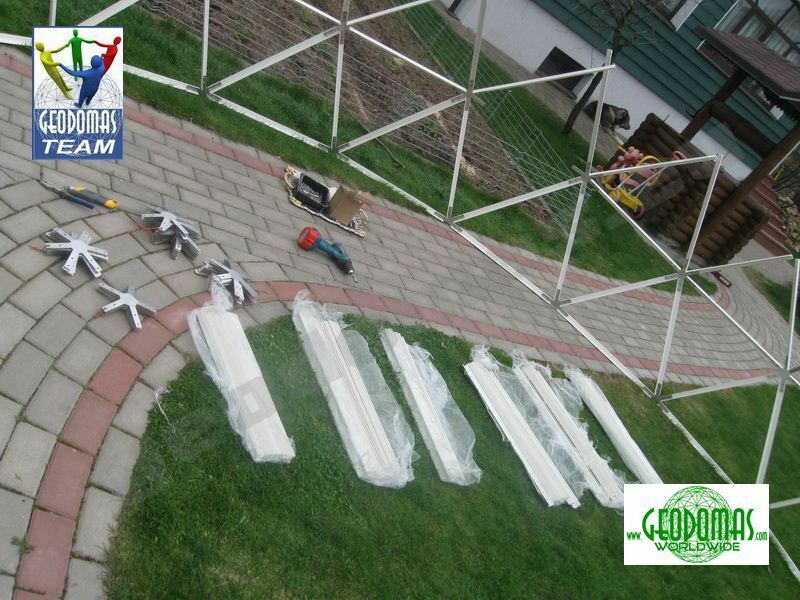 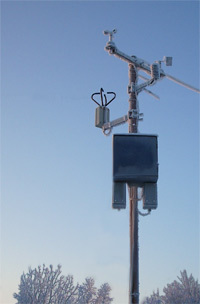 A rectangular greenhouse will have less sun in the morning and evening, and the most at midday. 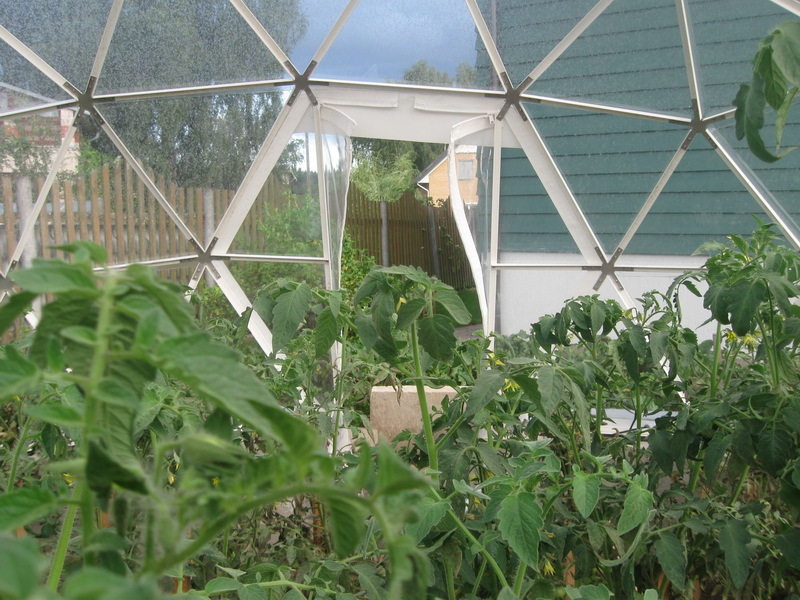 A dome receives consistent sun and heat throughout the day because the sun follows the shape of the dome. 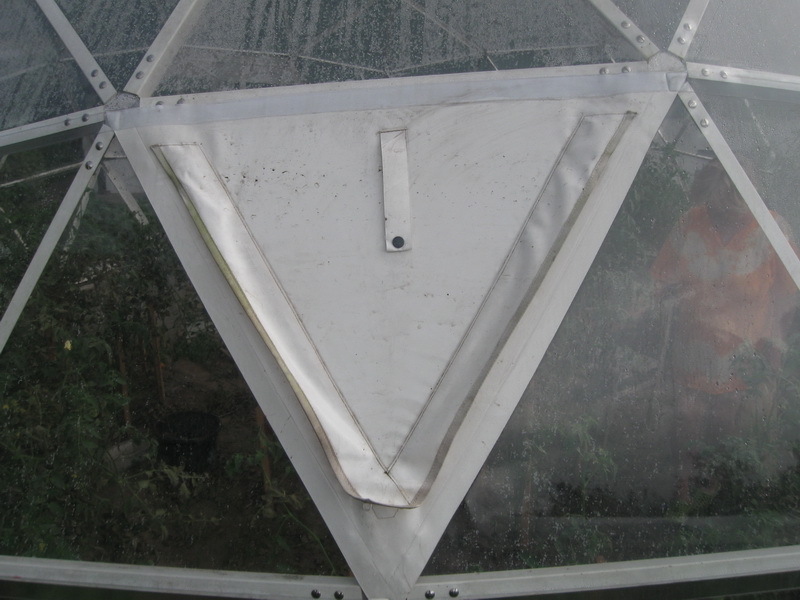 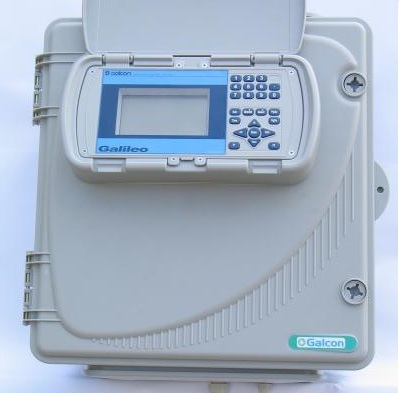 Your plants will appreciate this, and the added light and heat will be a benefit during the dark winter months. 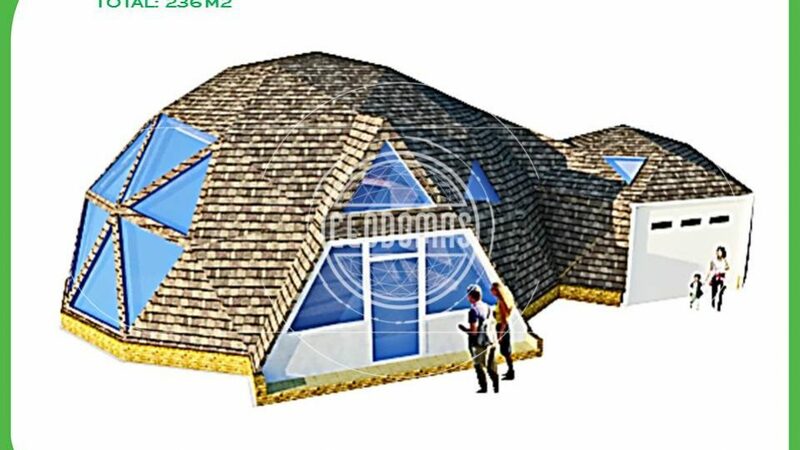 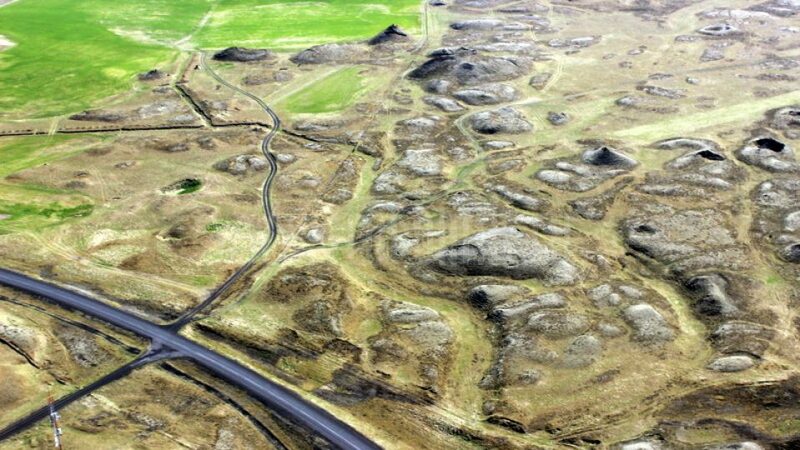 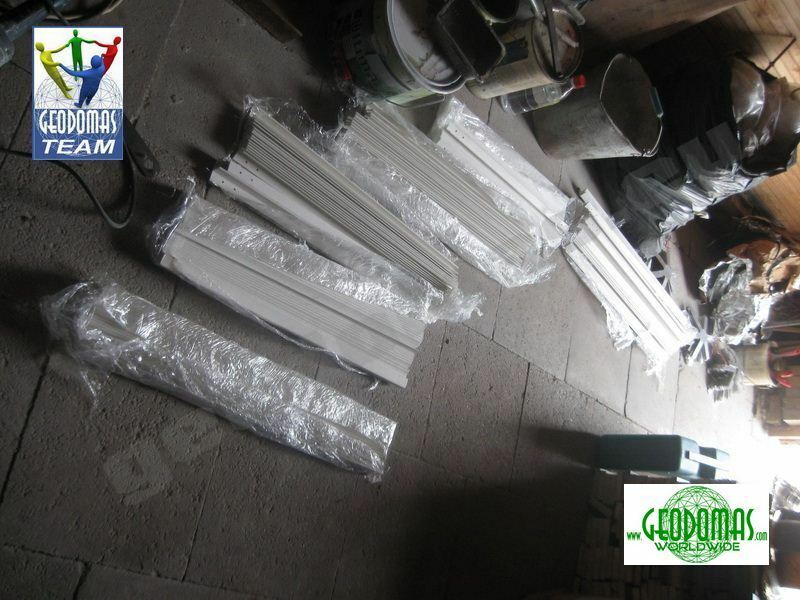 Thirty to 40 per cent less surface area also means 30-40 per cent fewer materials used in construction. 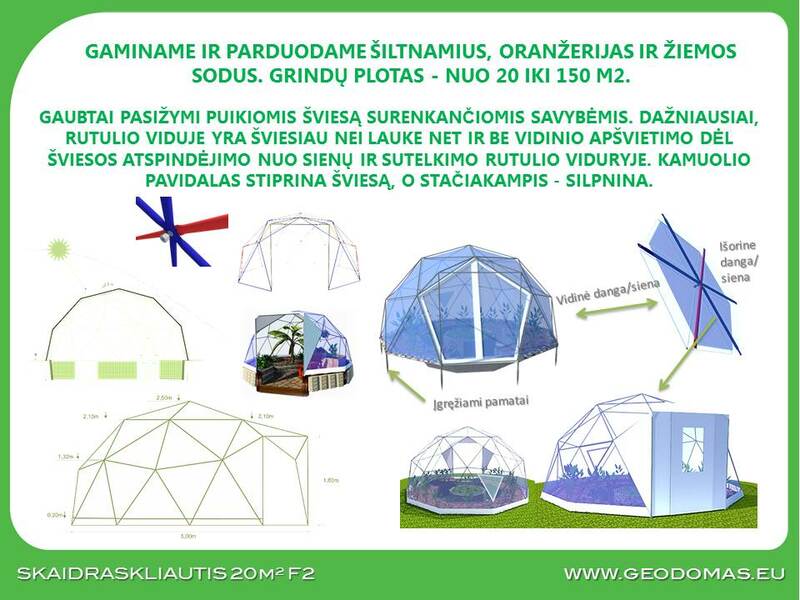 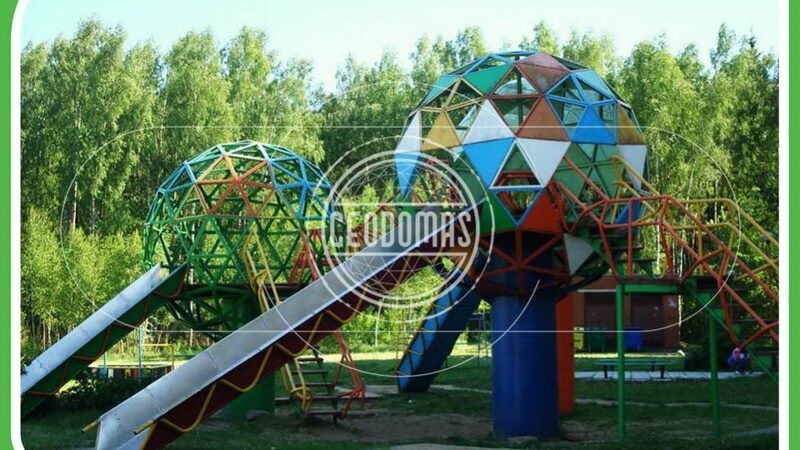 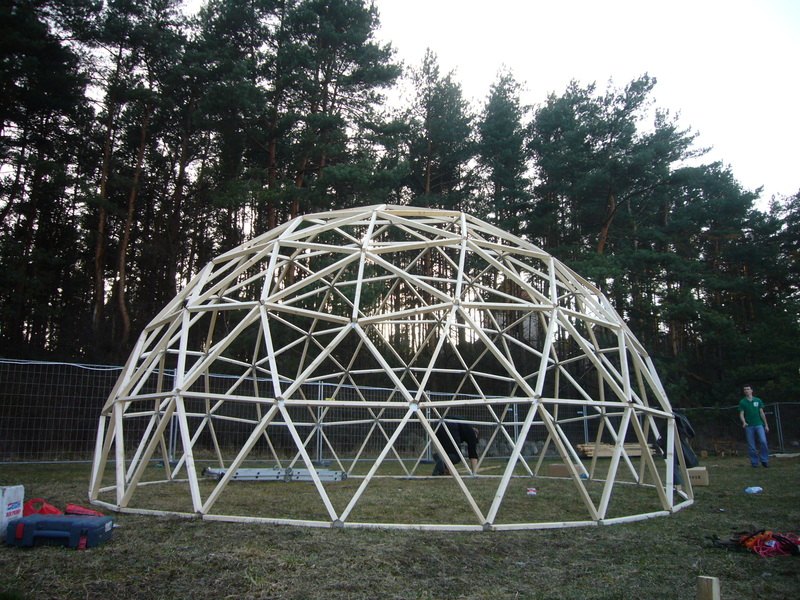 Geodesic dome greenhouses are relatively inexpensive to construct, depending on the design you use. 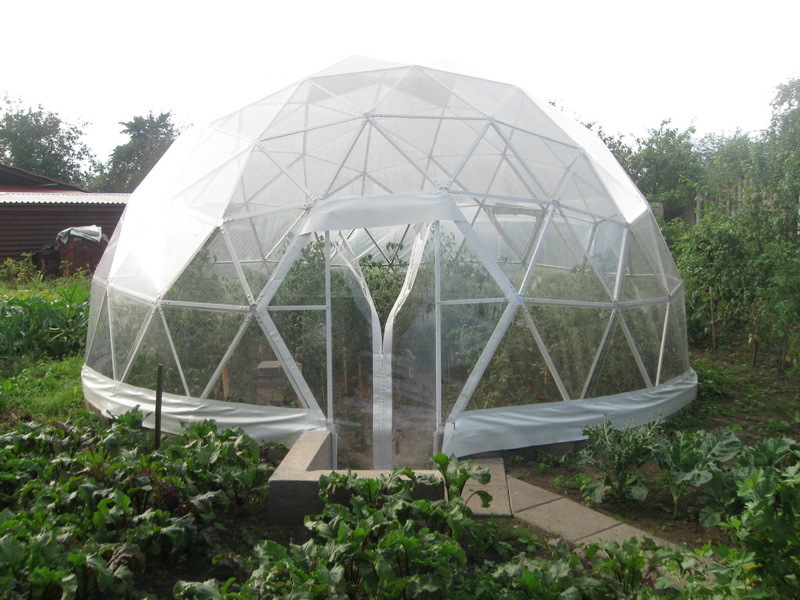 If you’d like to grow your food year-round, building a greenhouse is one of the best ways to accomplish your goal. 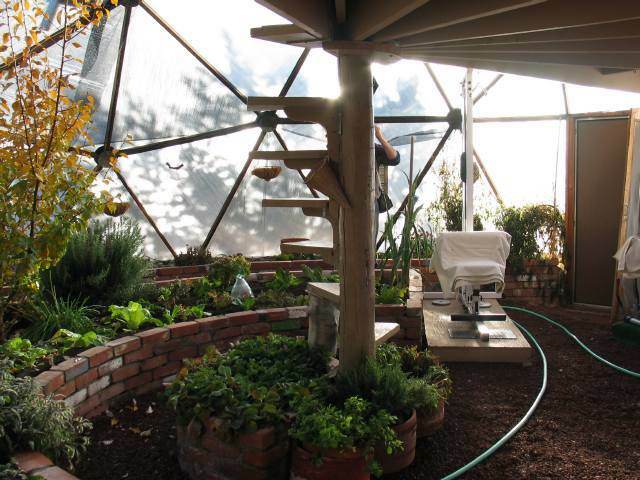 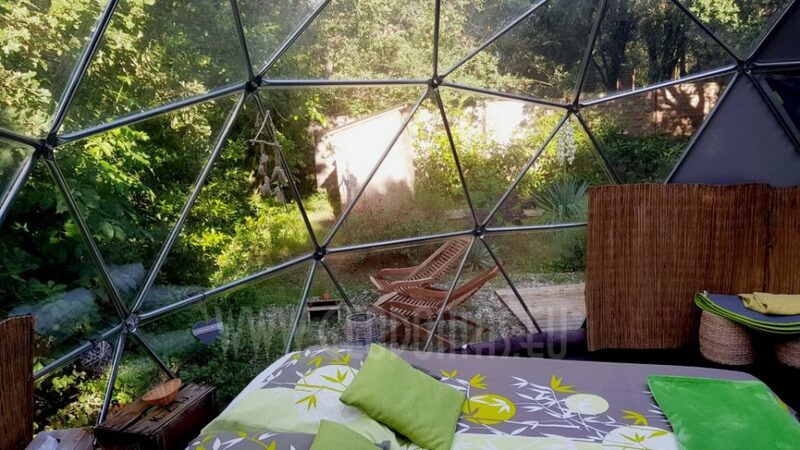 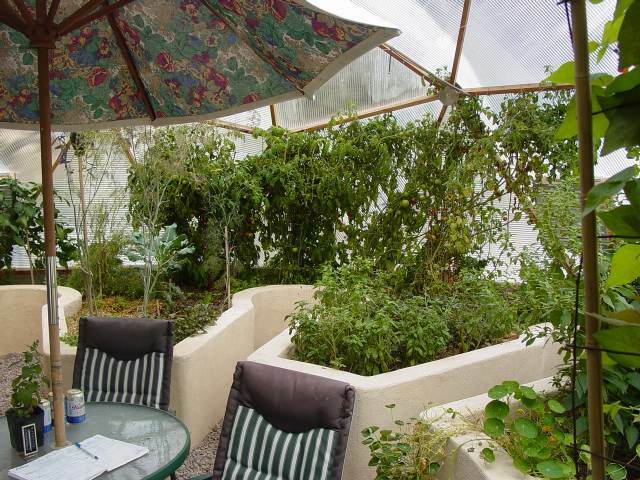 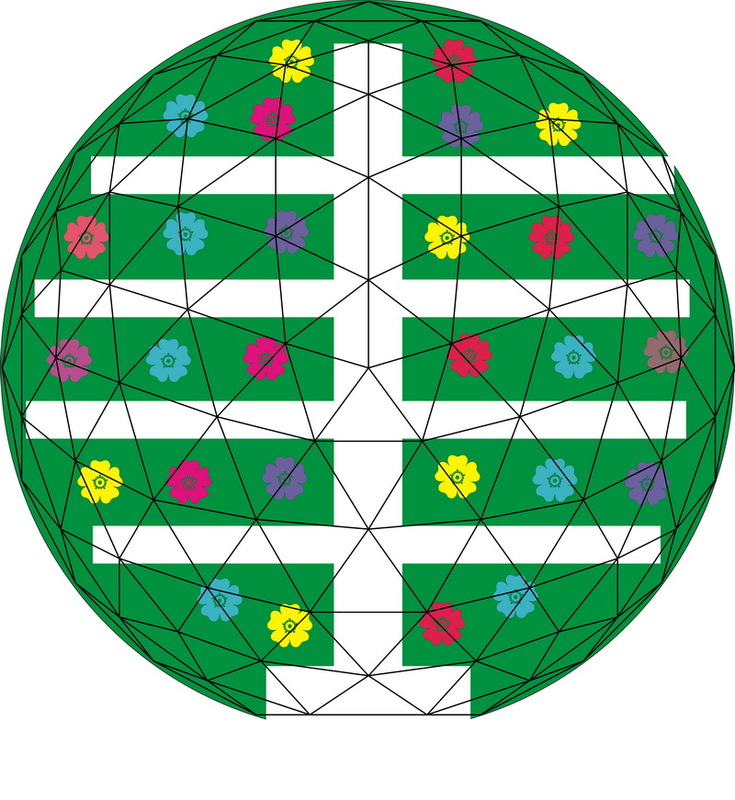 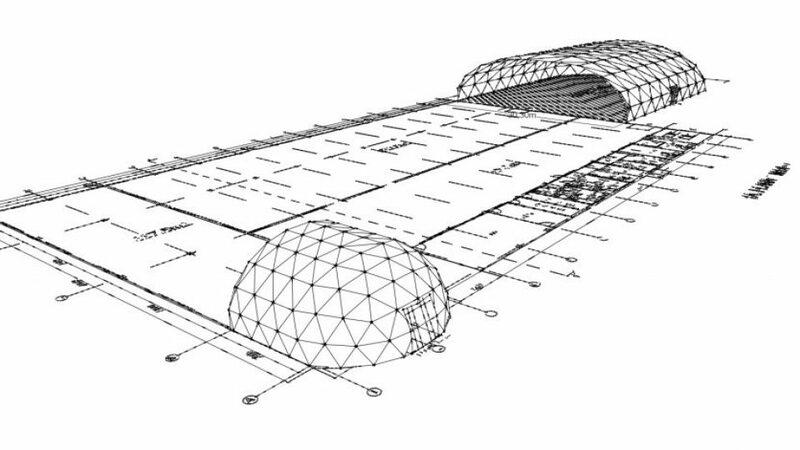 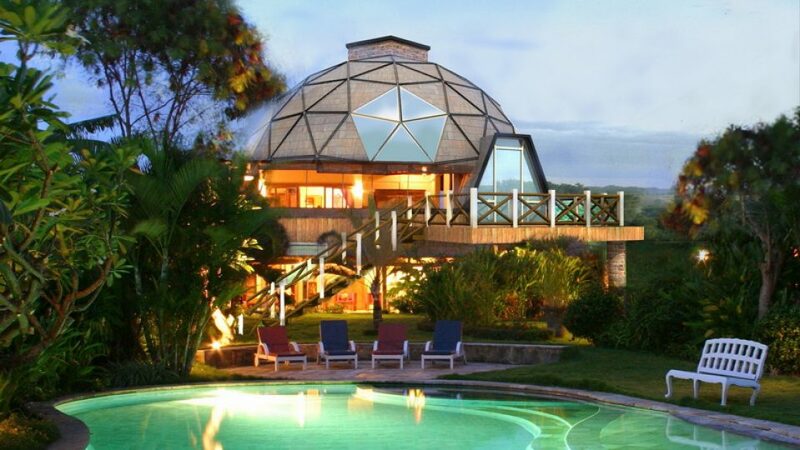 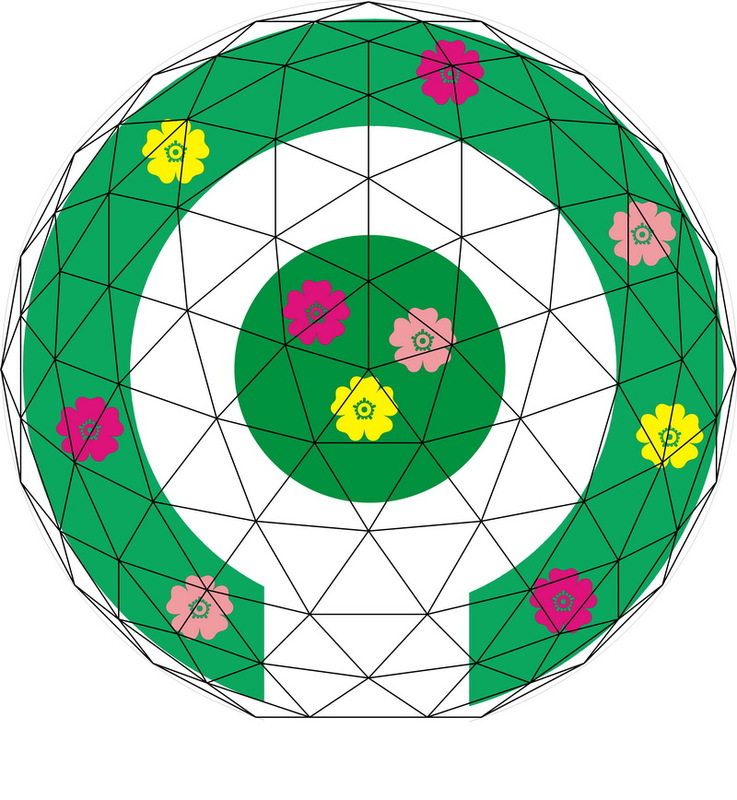 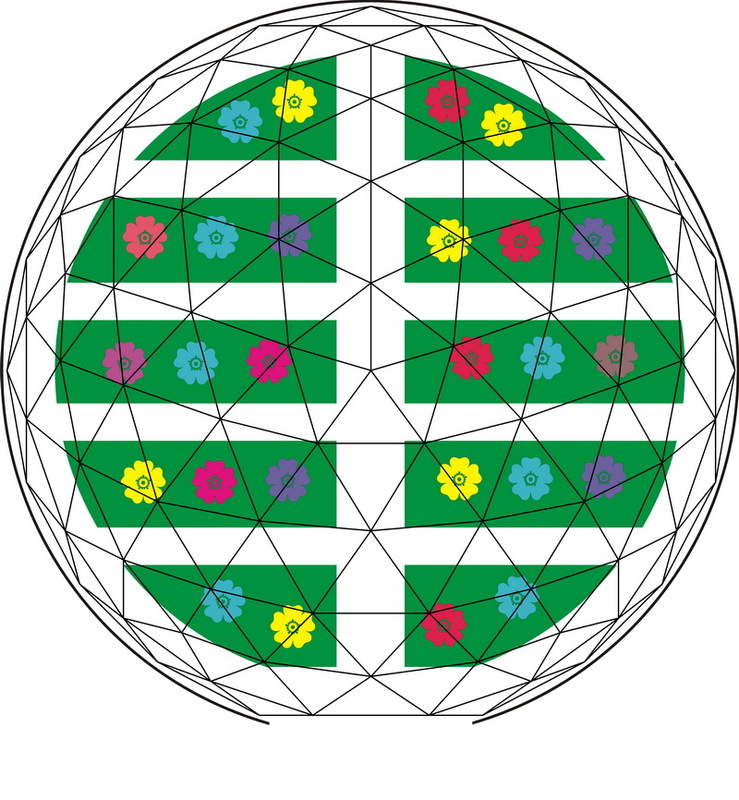 Geodesic dome greenhouses, in particular, have many benefits that rectangular greenhouses do not have. 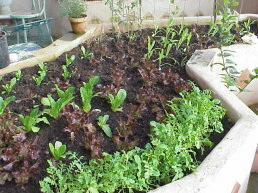 Plus, they make a unique and attractive addition to your garden. 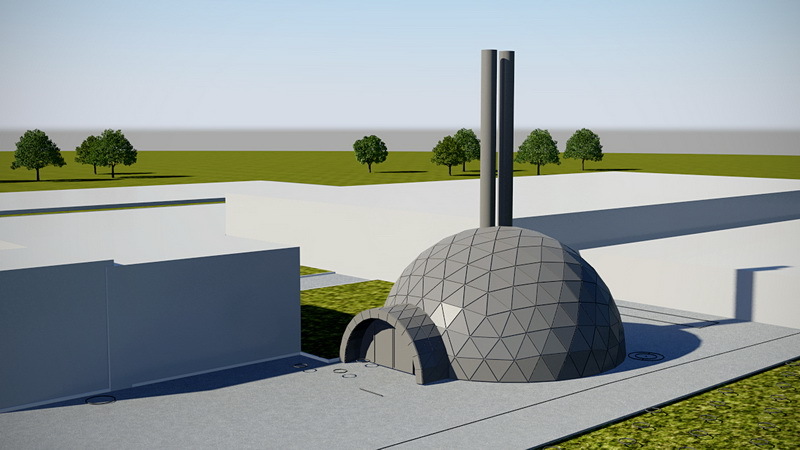 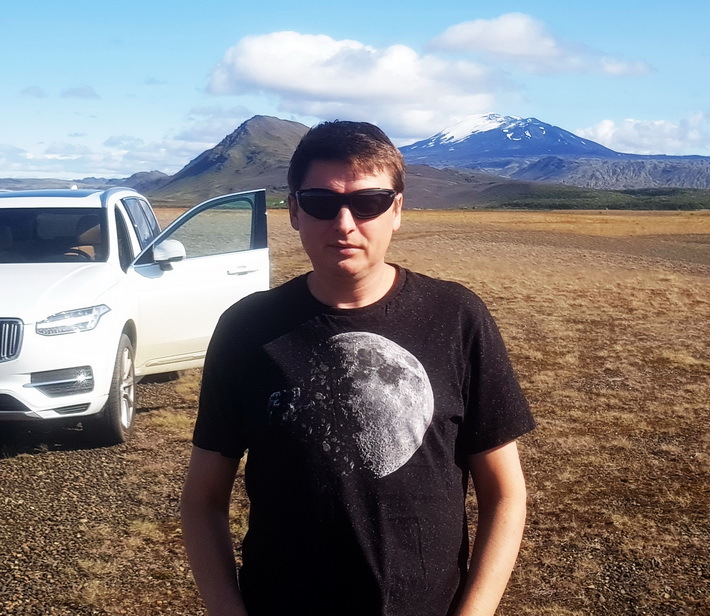 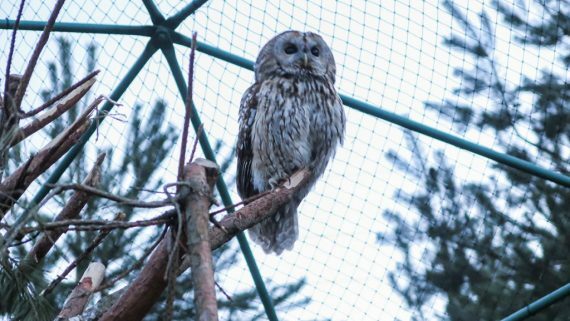 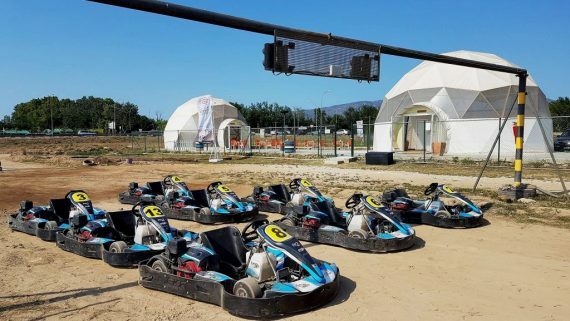 Apvalūs Namas Kupolas Gyvenamasis A+15m skersmens Maišagalos raj.